The Apart OVO active loudspeakers are intended for installation in a wide range of indoor environments. Applications might include exhibition and museum displays, classrooms and boardrooms where voice reinforcement and audio playback from media players and laptop computers is required. The OVO5P and OVO8P are available in either white or black. Matching bracketry is included. 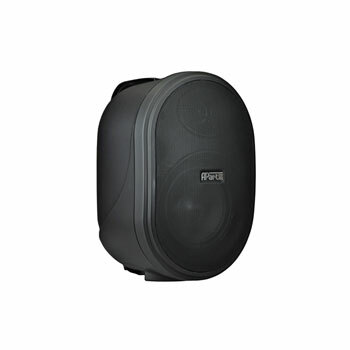 The OVO5P stereo sets comprise of 2x 20W RMS, 2-way loudspeakers in ABS moulded cabinets; one is active (master) and one is passive (slave). 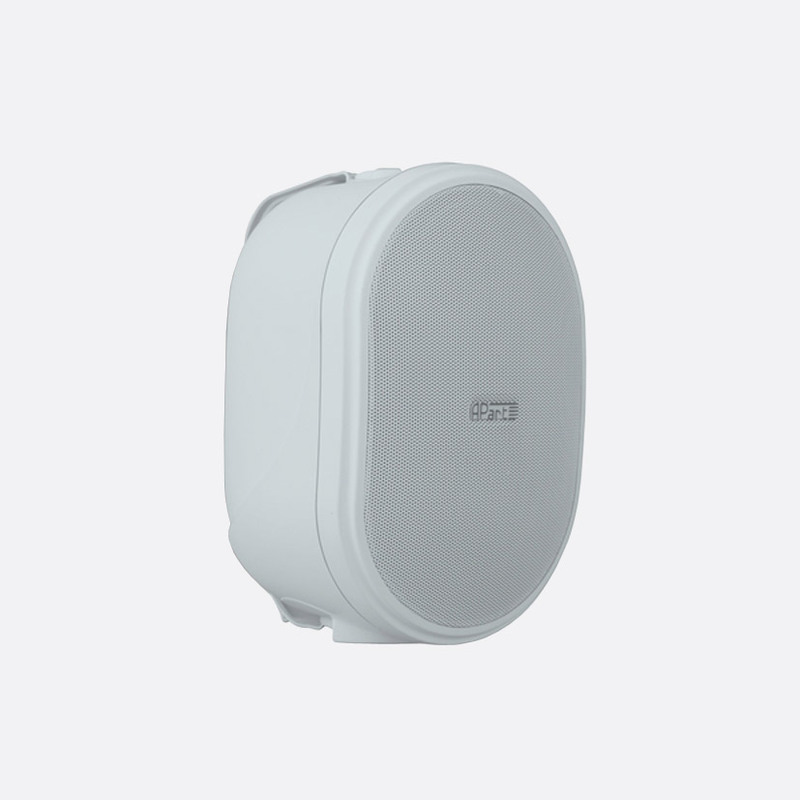 All systems are supplied with wall-mounting brackets and AC power cord (C7). 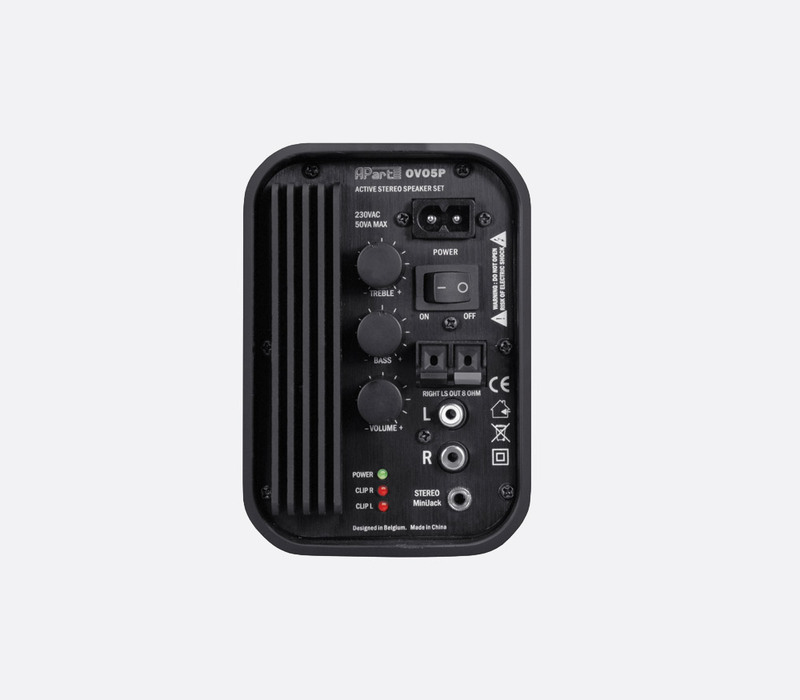 AC power and audio input connections are made at the rear of the left (master) loudspeaker. Audio inputs are via a single 3.5mm stereo jack socket, (150mV, 2.8k ohms) and dual RCA (phono) sockets, (500mV, 10k ohms). Rotary knobs provide user adjustment of the volume, treble and bass settings. The output to the right (slave) loudspeaker is connected via spring terminals. A series of coloured LEDs indicate power status and L/R channel overload. All connections are made at the rear of the OVO8P. 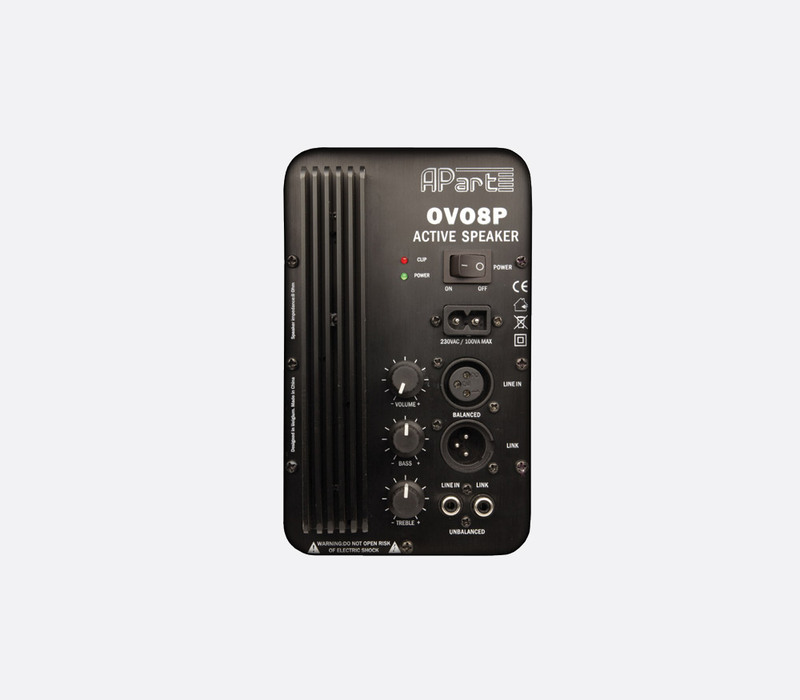 A balanced line-level input (1200mV, 10k ohms) is offered via 3-pin female XLR and an unbalanced line level input (305mV, 2.7k ohms) is available via a single RCA (phono) socket. Both audio inputs are wired in parallel with 'Link' outputs, both XLR and RCA(phono) for onward connection to additional active loudspeakers. Rotary knobs provide user adjustment of the volume, treble and bass settings. Coloured LEDs indicate powering and clip status. 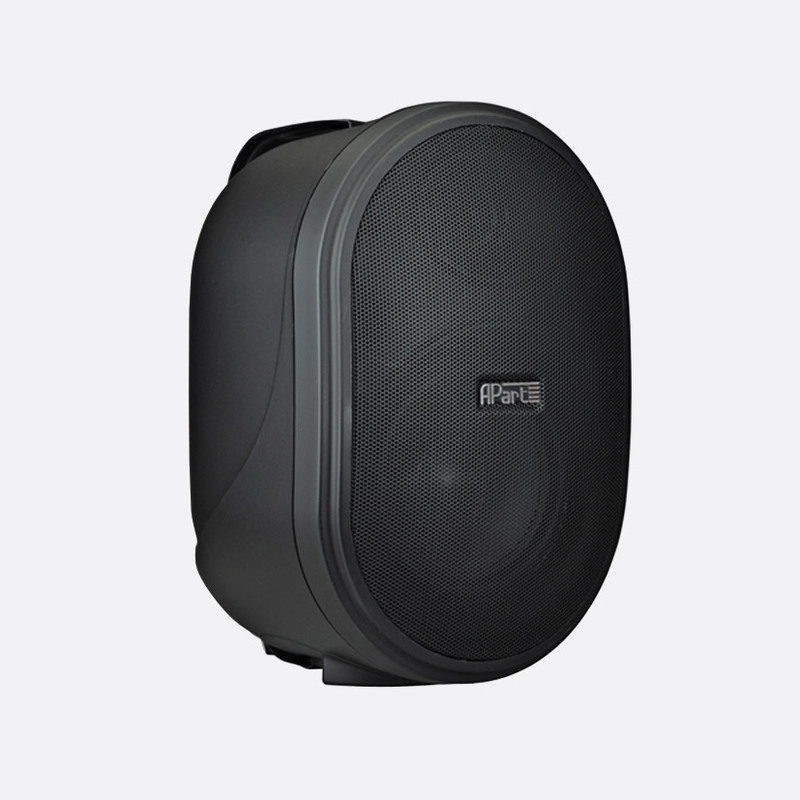 The moulded ABS cabinet is supplied complete with wall mounting brackets and AC power cord (C7). Note (1): Diameter, low frequency + high frequency drivers. (2) dB SPL at 1 metre. (3)At 1000Hz. 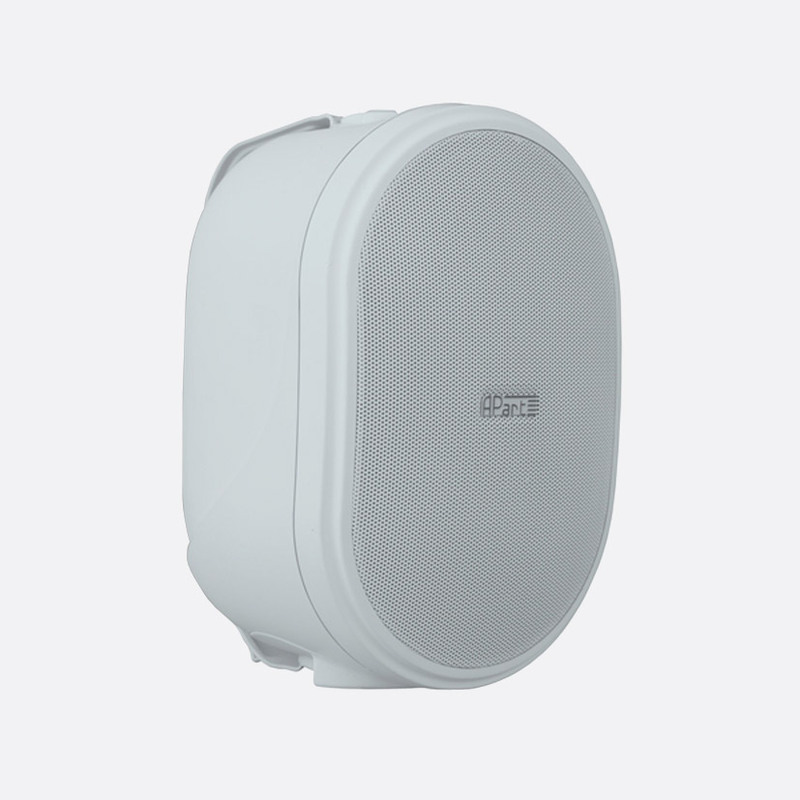 Passive versions of the OVO5P and OVO8P are also available, see Apart Installation Loudspeakers - OVO Passive Series, for use in installations where remote amplification is preferred or there is no local power available.